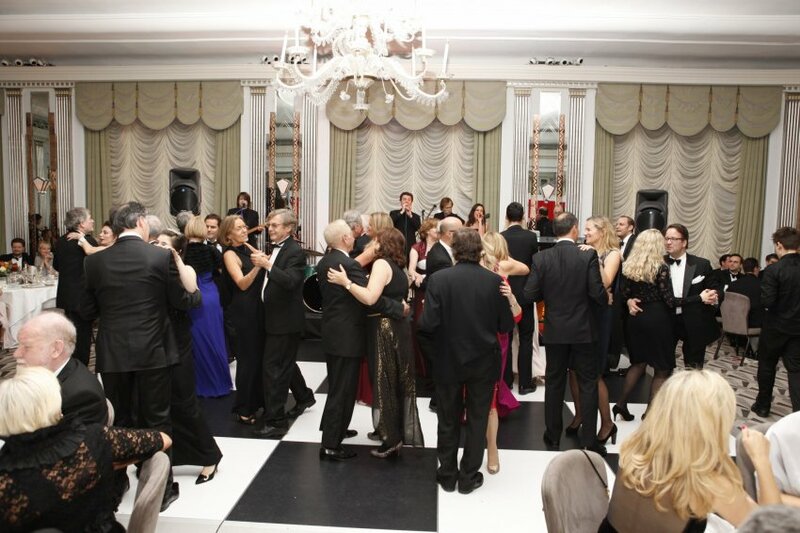 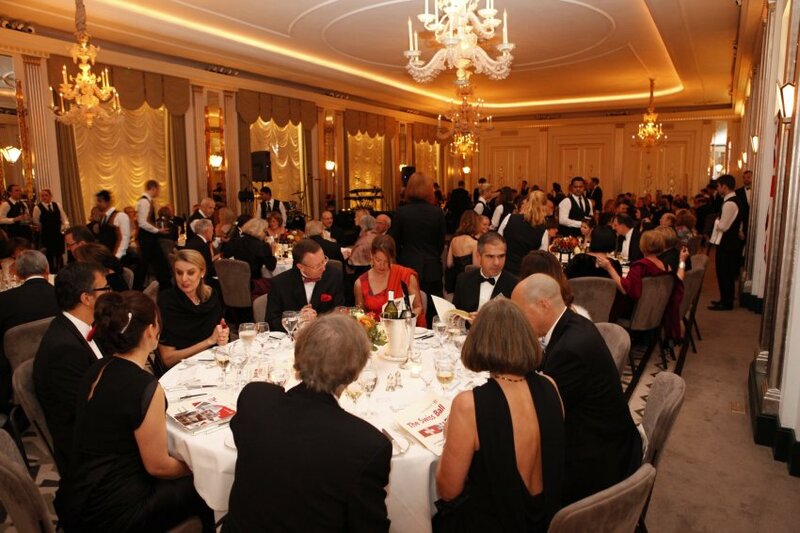 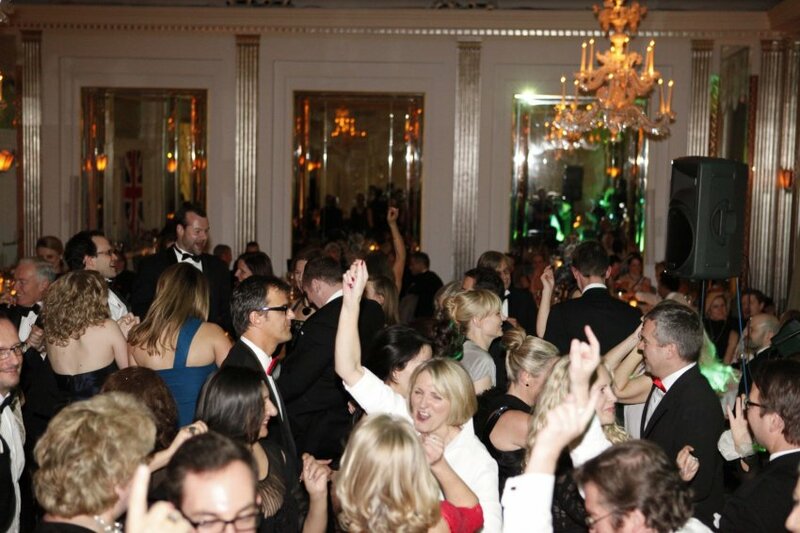 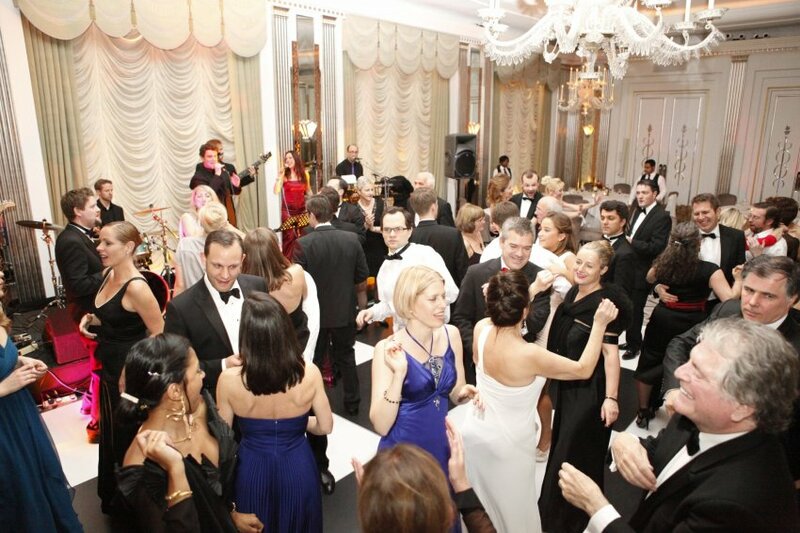 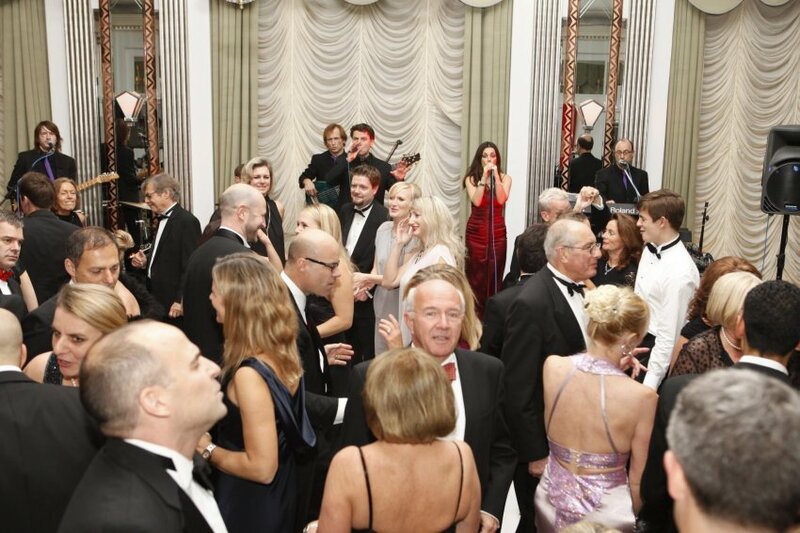 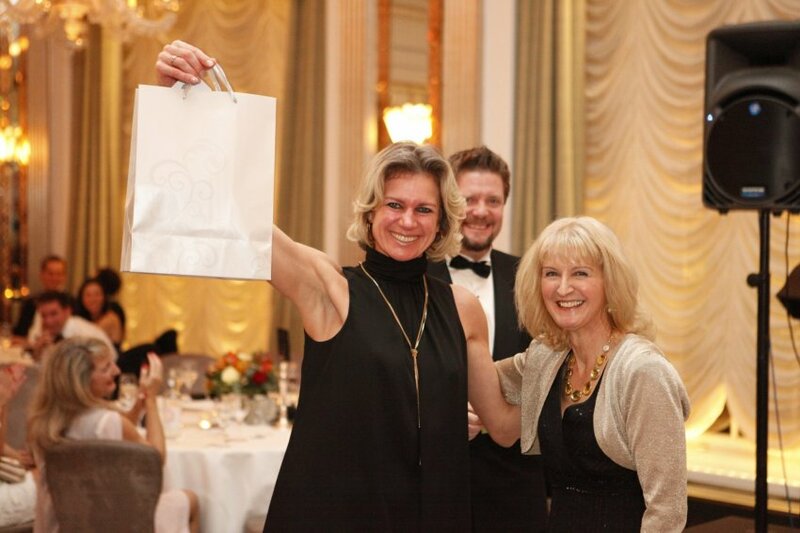 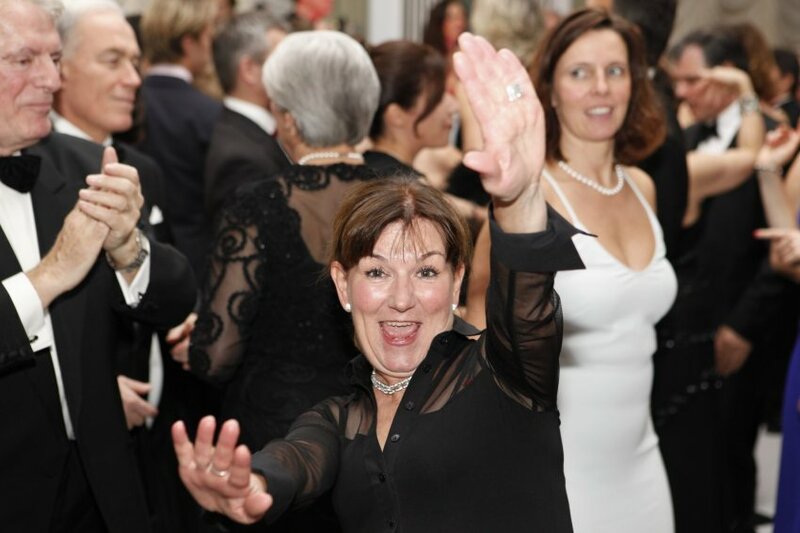 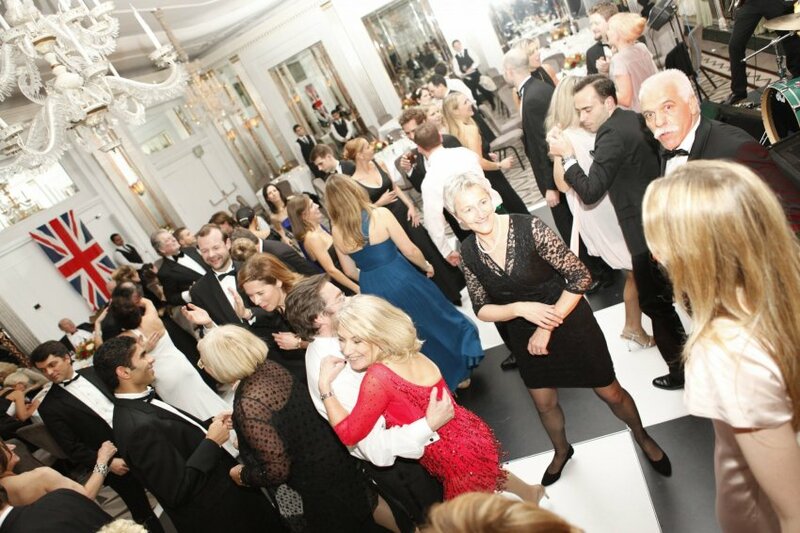 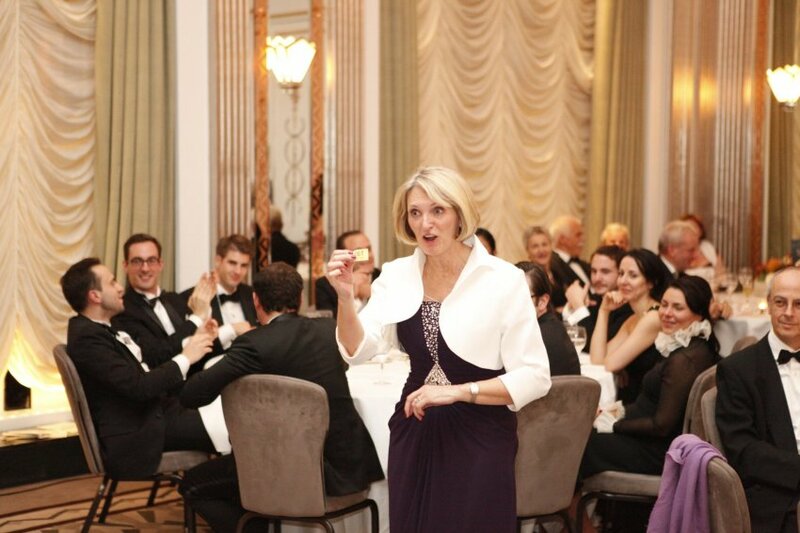 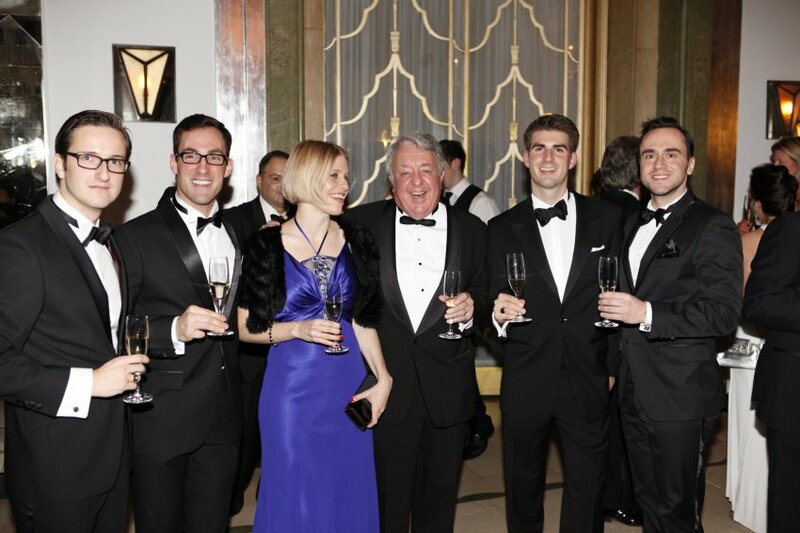 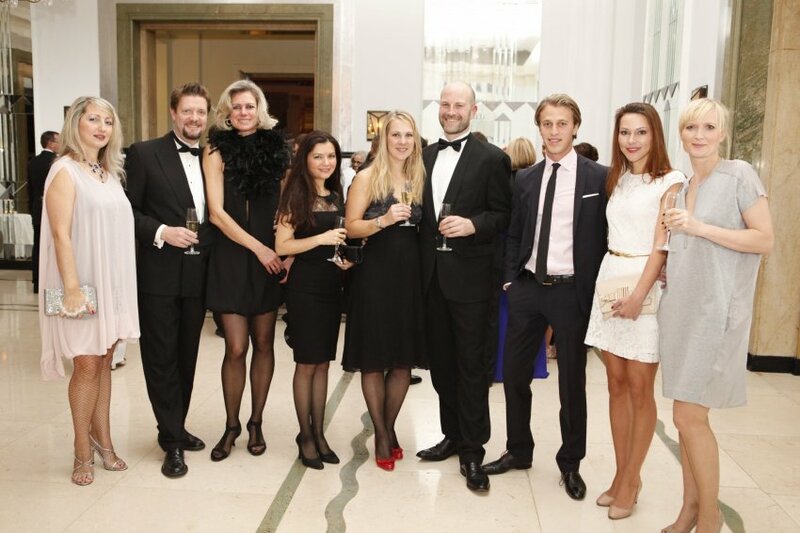 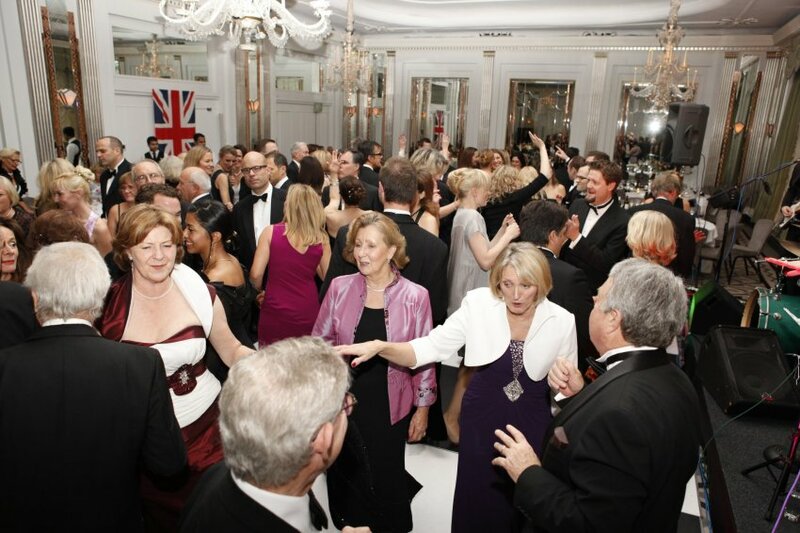 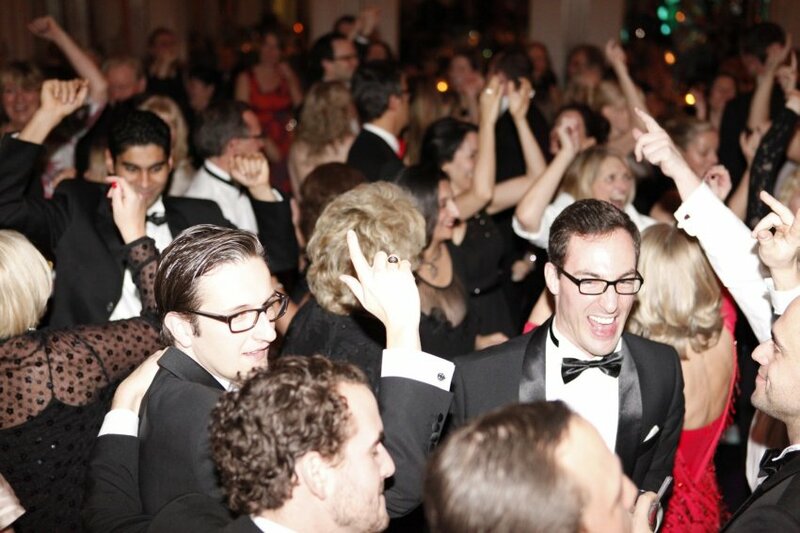 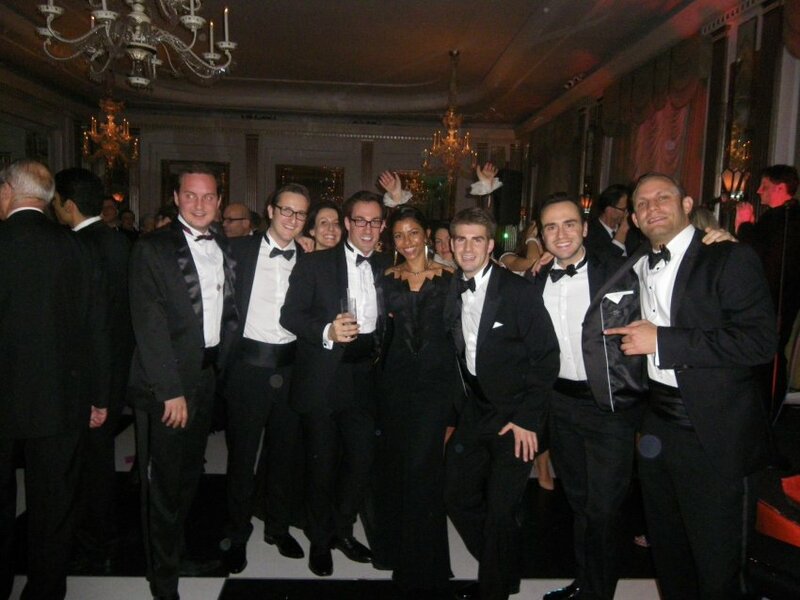 The Swiss Ball was held on 24 November 2012 at Claridge’s and was attended by almost 150 people. 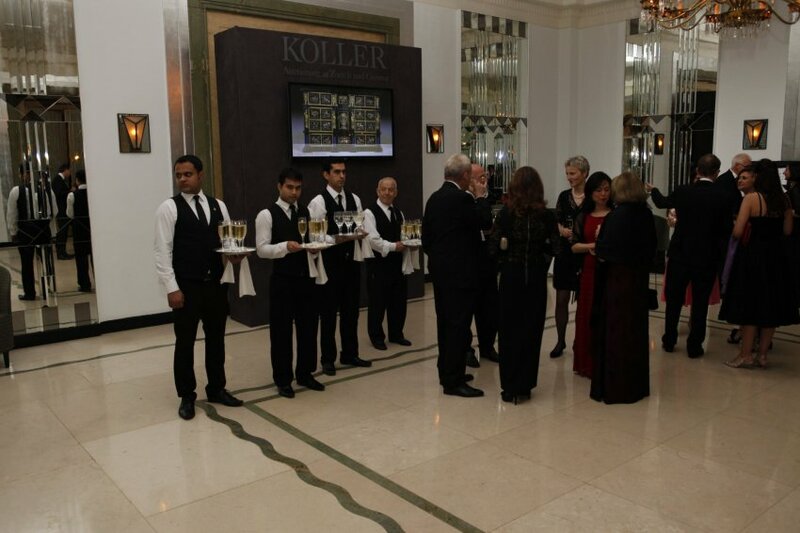 The evening started with a Champagne Reception sponsored by Koller before the guests moved into the Ballroom for brief speeches from the Ambassador, H.E. 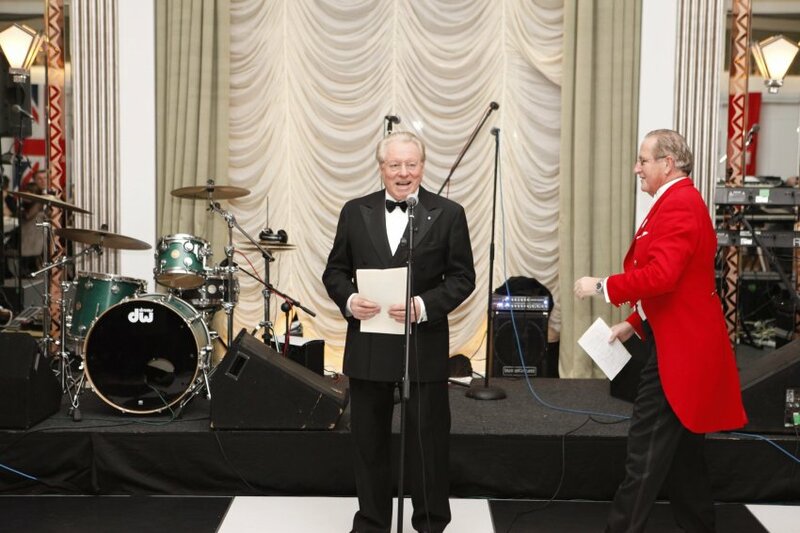 Mr. Anton Thalmann, and the Chairman of the Club, Henry Angest. 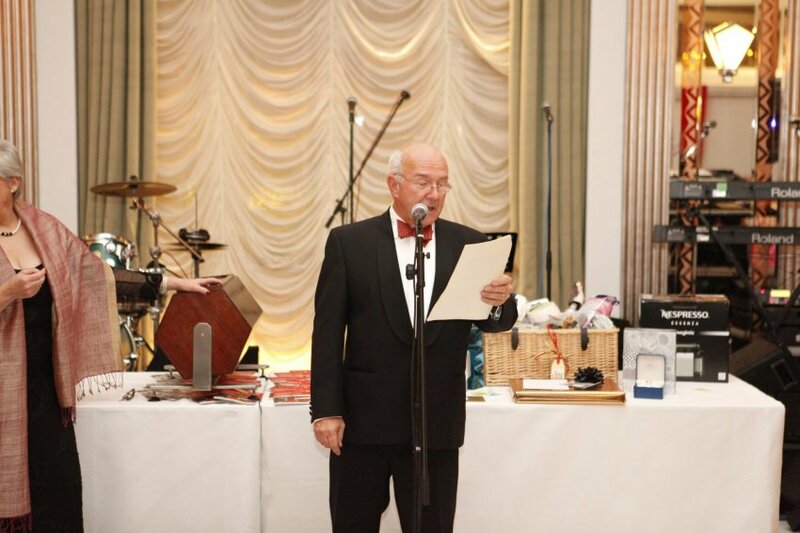 Mr. Angest announced his “retirement” as Chairman of the Club after 20 years in the role. 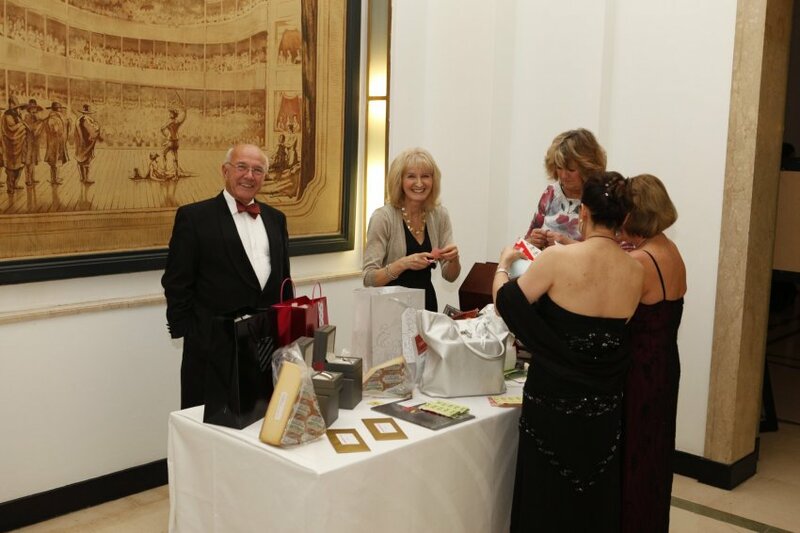 There followed a delicious 3 course meal, a fantastic raffle raising money for the Swiss Church, and plenty of entertainment! 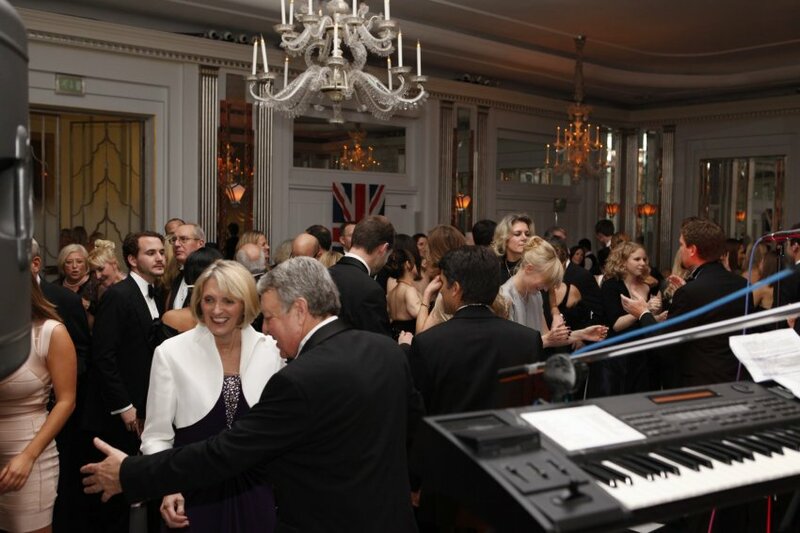 There was an excellent performance from an electronic violinist, Caroline Owen, and an innovative dance act from the duo “Kaleidoscope”. 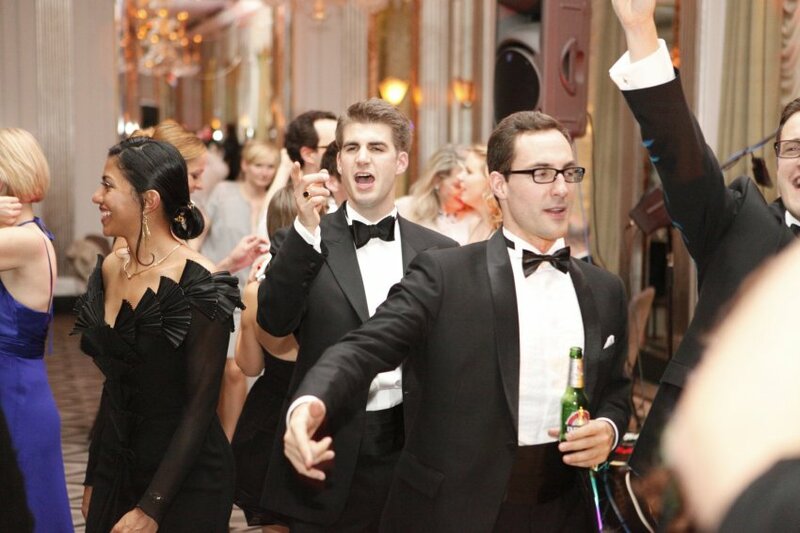 Live music was provided throughout the evening by the superb band “The Score” and they certainly packed out the dance floor! 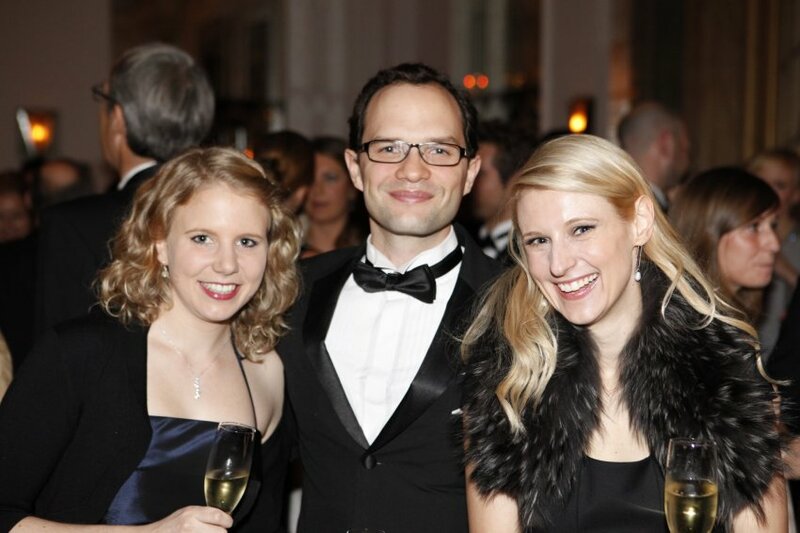 Julie Streader, Madeleine Beck-Wagner, Alan Martin and Walter Isler.